We're very excited to introduce a new line of handmade soaps, crafted nearby in Holley, NY! 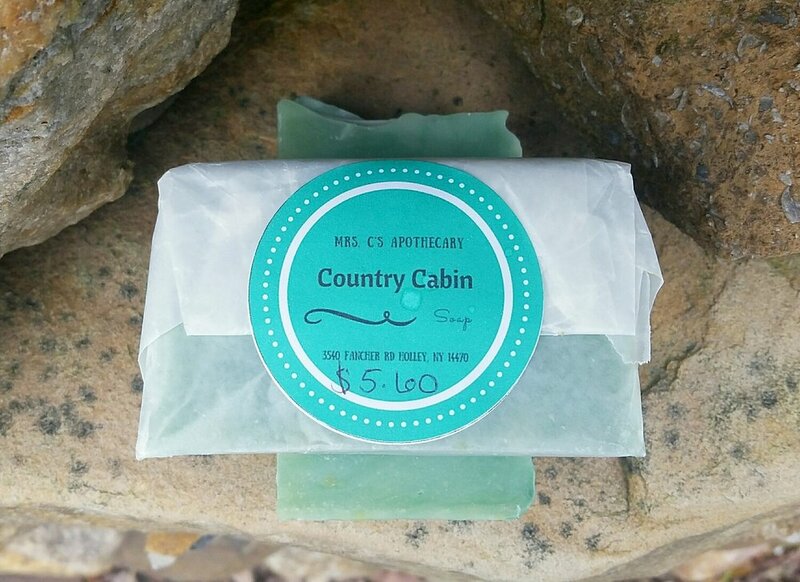 Right now, we have Lavender Seasalt, Lemon Lavender, Tea Tree, Honey Oatmeal, and Country Cabin. New scents will arrive with different seasons. Bars are cut to different sizes and priced by weight, so you can select a smaller bar to try a new scent, or a nice big chunk to last for weeks and weeks. Prices range from $3-$6. 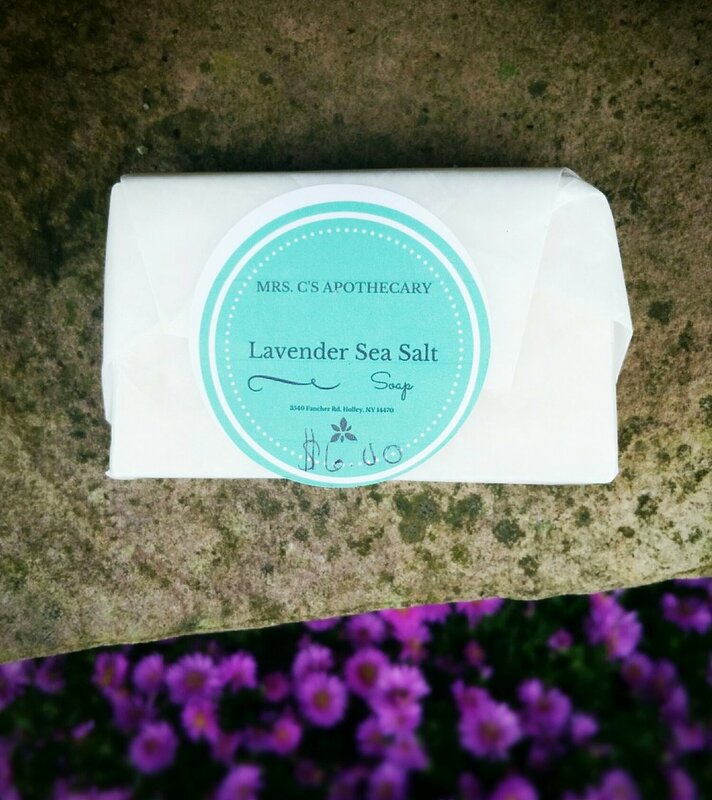 From Mrs.C's Apothecary's Facebook page: "Handmade soaps, salves and balms. We use only all natural and organic ingredients with no chemicals or unnatural fillers, all made with love." 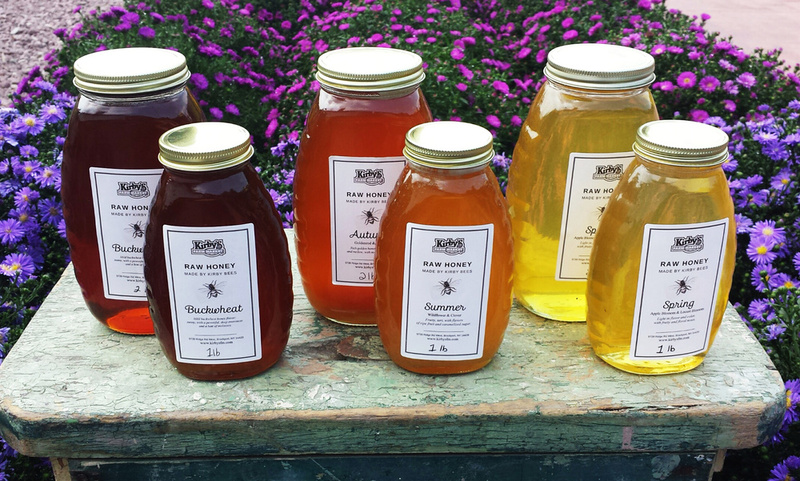 Last fall we put honey out for sale, from our own bees, for the first time. Each season has it's own distinct flavor profile and color. You can find them for sale in our market right now! 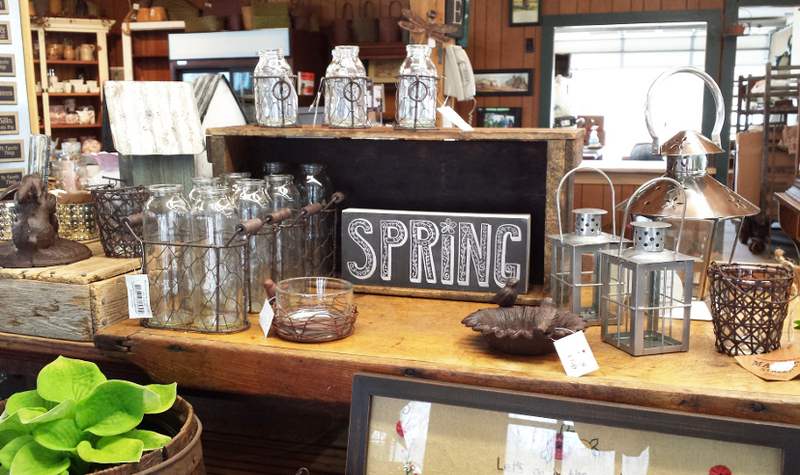 Spring Honey comes mostly from Apple Blossoms and Locust Tree Blossoms. The result is a beautiful light golden color, and an equally light flavor. We think you'll notice some nice fruity and floral notes. This is one of the most unusual and distinctive honeys we've tasted. Our Summer Honey is made while the most plentiful blossoms on the farm are the wildflowers that fill every nook and cranny. Clover is one of the most common wildflowers. We describe it as "fruity and tart with flavors of ripe fruit and caramelized sugar." This honey has the most typical, neutral, honey flavor. In Autumn, our bees collect pollen mostly from Goldenrod and wild Asters. The flavor is "rich, smooth, and mellow, with notes of raisin". Buckwheat is another distinctively flavored honey. A field of buckwheat will keep bees very busy and producing a lot of honey! Our buckwheat honey is milder in flavor than other buckwheat honeys we've tried (the flavor can be very strong and dark). We describe our buckwheat honey as "Sunny, with a powerful, deep sweetness and a hint of molasses." Honeycomb is a luscious bite of thin compartments of chewy beeswax, full of sweet honey. If you've never tried it before, it's worth it! Packaged in one pound containers, honeycomb will be for sale on our shelves soon. 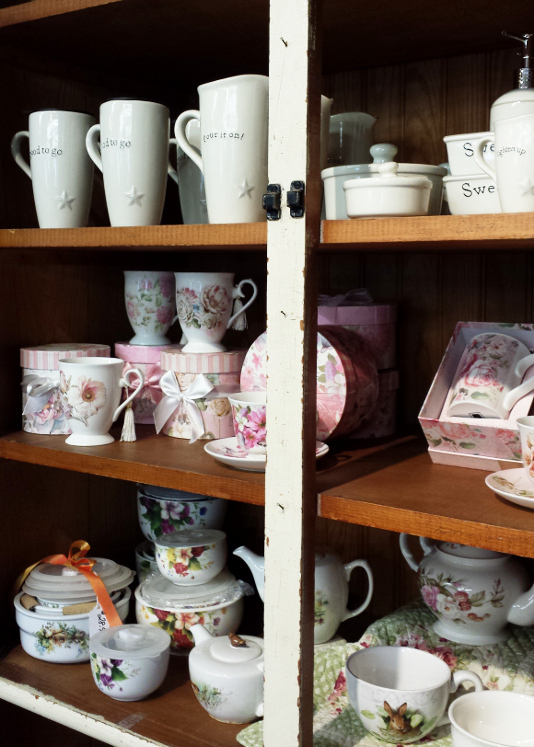 Large, three pound jars of summer honey, and beautiful tall corked jars will also be in our honey cupboard soon. 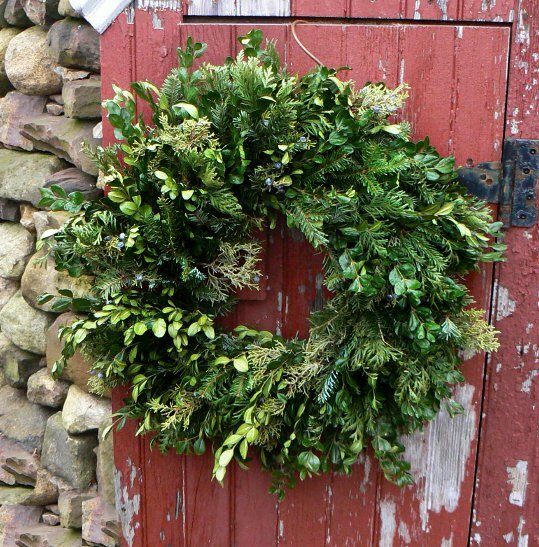 Kirby's Handcrafted Evergreen Wreaths, now online! Piles of fragrant branches in so many colors and textures, red and gold decorations, and sparkly bows! Making Christmas wreaths is a lot of fun, especially when the end result is a festive decoration for someone's home. This year, we're making our wreathsavailable online! 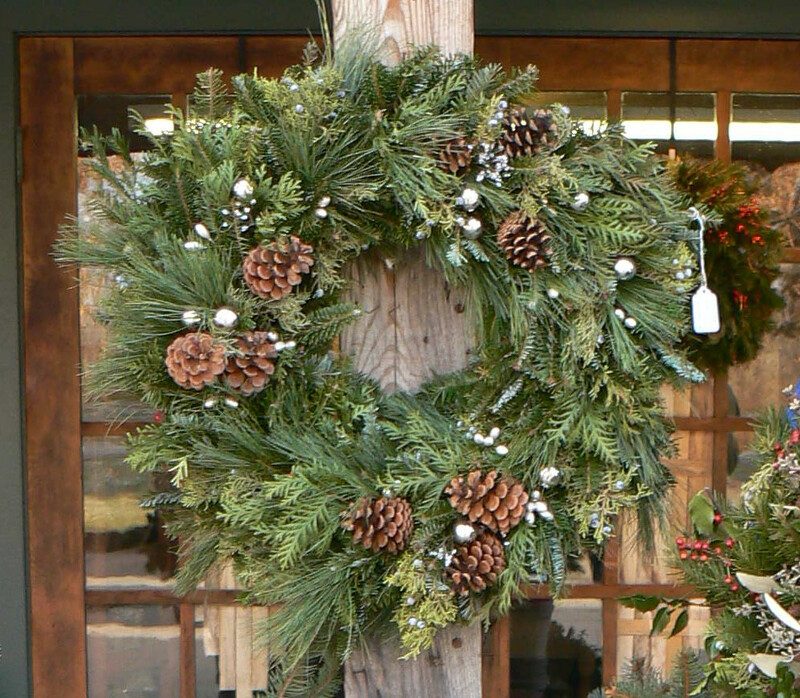 You can purchase our handcrafted wreathes at our online store, and customize it however you wish. When you click over to our online store here, you'll see that we start with a sturdy 10" or 14" ring that won't bend or warp. By the time we're done filing it out with a variety of greens, (many of which we harvest ourselves) the 10" wreath reaches 15"-18" in diameter and the 14" is about 19" - 25". After choosing the size, you can customize your wreath with natural decorations of berries, pinecones, seedpods, a bow, or sparkly, eye-catching accents in red, gold, or silver. 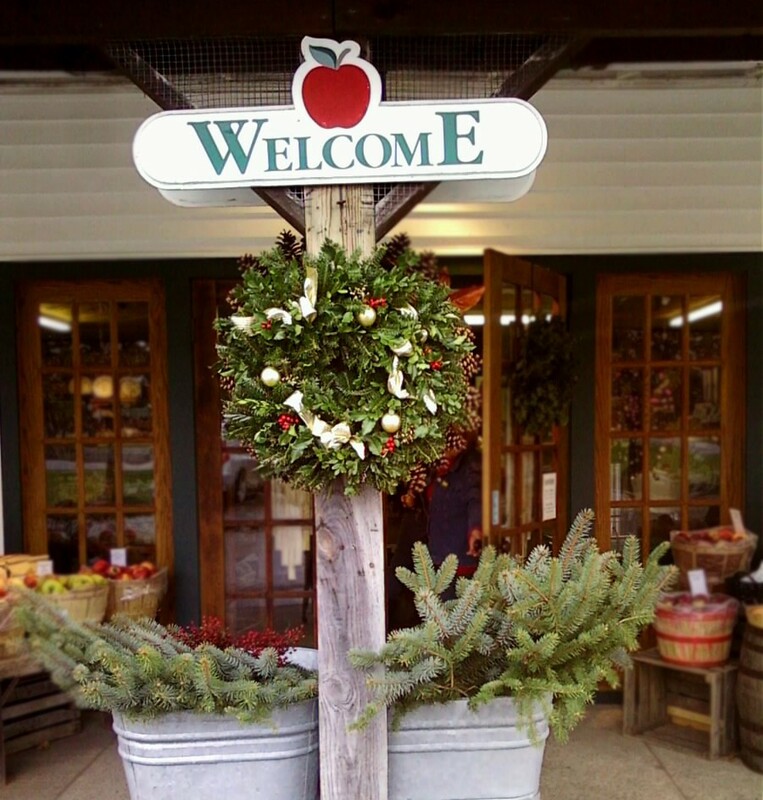 Your unique wreath, handcrafted here at Kirby's, will be ready to pick up at the market in about one week, usually less. 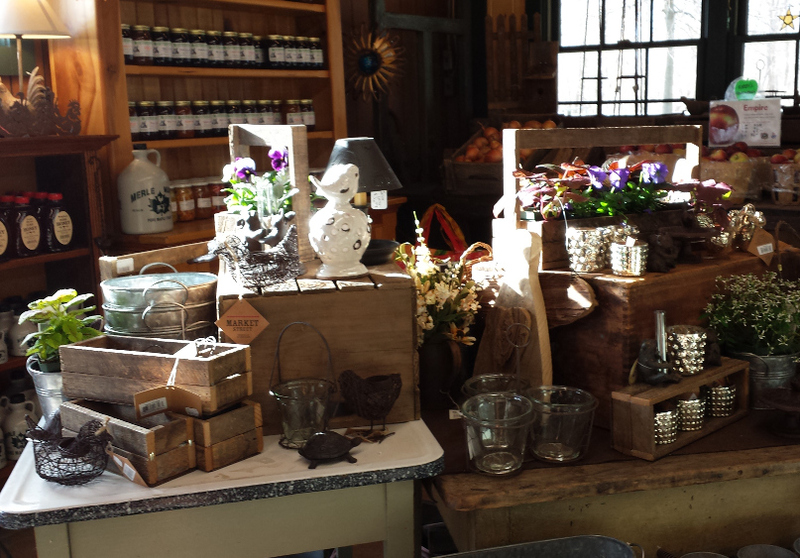 August is a beautiful month at the market. Produce, perennials, and great food! Mouse over for captions, click for larger images, and enjoy! Does this cool weather make you think about Fall? It will be here before you know it! Make sure you take full advantage of the wonderful summer produce filling the market throughout August and September! 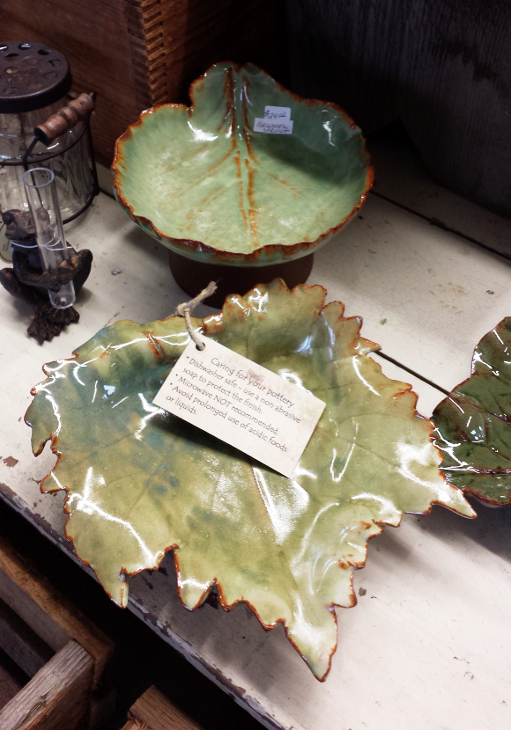 Deborah Wilson, from Waterport, NY, makes her pottery by hand from stoneware clay. The pieces are thrown on a wheel or constructed from slabs. The glazes she uses are non-toxic and durable (dishwasher, microwave and oven safe). Her pieces are meant for functional, everyday use, and their fun, vibrant colors make them even more enjoyable. Deborah likes to find inspiration for her designs from nature. 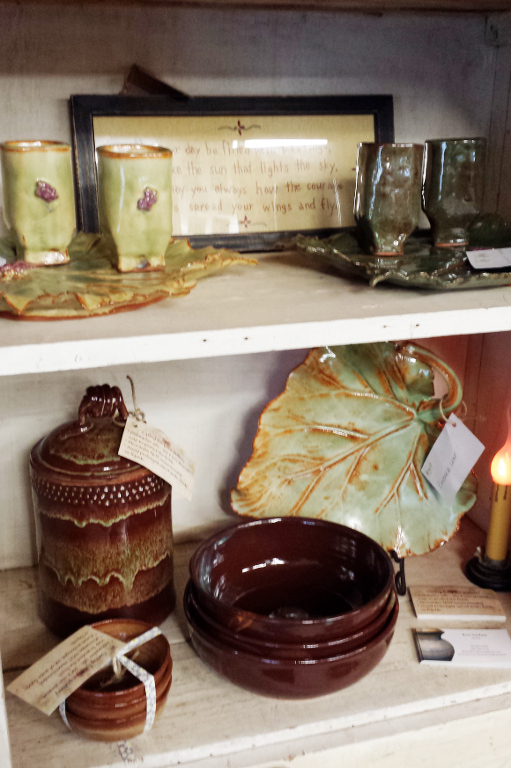 What is your favorite part about creating pottery? DW: "My two favorite stages of the process are the actual forming, where I get to interact with clay; after 25 years I've never lost my love for this wonderful, infinitely malleable, expressive material. The other part I love is opening a warm kiln full of glaze fired pots and seeing how the pieces were transformed in the firing process." What do you enjoy about being an artisan in WNY? DW: "I enjoy living and working in a more relaxed semi-rural environment after many years of being a city potter. There's a great appreciation of handmade work in this community. There aren't many other potters locally, so I enjoy being able to teach the craft to students who otherwise wouldn't have the opportunity." Is there a particular thing that inspires your work? DW: "Most of my pottery is designed to be used for a practical purpose. I'm striving for a good combination of functionality and beauty in my pieces. I'm inspired by the colors and forms of nature. I love the subtle variations and "happy accidents" that can happen with glazes." Thank you, Deborah, for sharing your art and your process with us! Every November we go out into the cold to gather beautiful little bits of nature, stashing them away until it's time to make wreaths for the holiday season. Rosehips, Juniper, Boxwood, Holly, as well as whatever seedpods we come across, are carefully gathered. 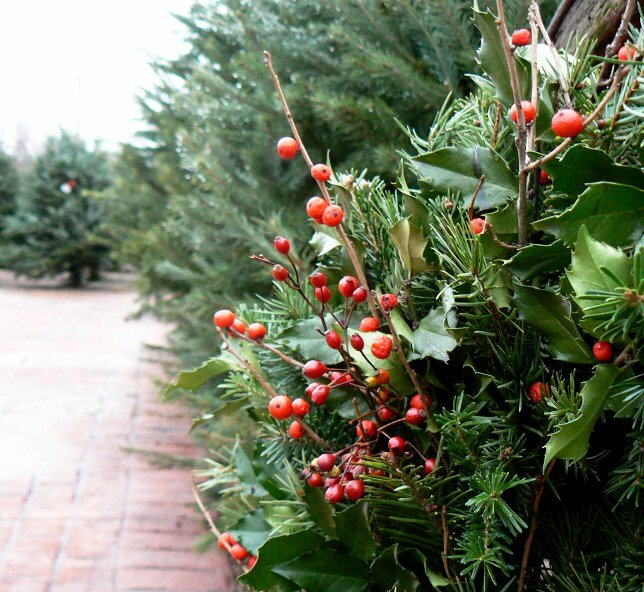 Bunched together with Pine, Balsam, and Fir or Eucalyptus, this great variety of everlasting materials creates wreathes of amazing texture and color. One of our favorite tasks of the season is working with these aromatic boughs to create unique wreaths and swags, ready for your doorway. 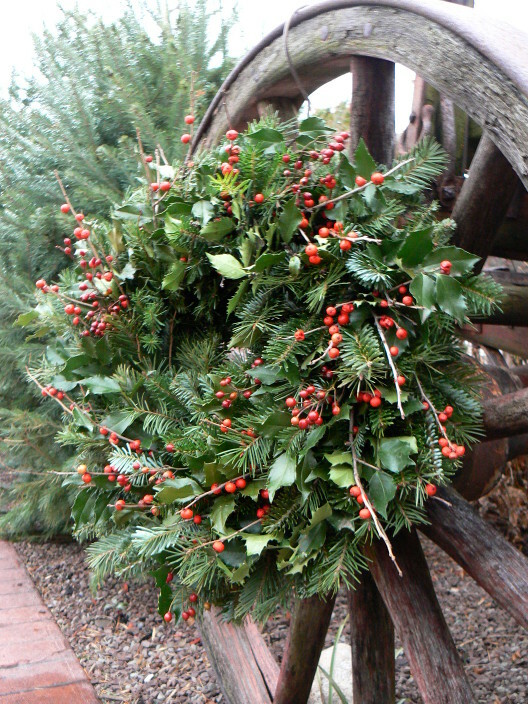 We also decorate our wreaths, both plain and mixed greens, with an array of sparkly and natural ornaments. 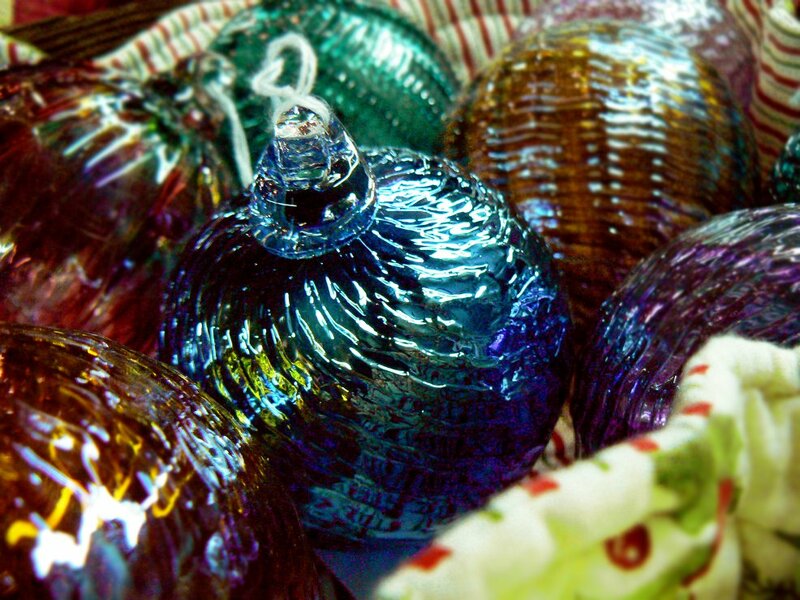 Little bluebirds or cardinals, glittery sticks and leaves, silver or gold balls and colorful bows. With palettes of silver and blue, green and gold, red and gold, or the natural tones of pine cones, we have wreaths available to suit many tastes. Do you have a special request? Place an order and we'll make a wreath just for you! (585)637-2600. 5:00 : Festivities end until tomorrow, rain or shine! 7pm : Market closes for the day. 5:15 : Please join us for cake and refreshments to celebrate our 40th anniversary! As we start setting up for the big event this weekend, we're particularly excited about the local people sharing their work with demonstrations. Dry Stonewall Masonry with Scott George - If you've ever tried to put a stone wall together (or even a little edging for your garden) you know that this craft is a lot more complicated then it looks. Pick up some tips from an artist in the trade at Harvest Weekend. Saturday and Sunday, 11-2pm, a unique stone wall will grow in our display area between the market and the greenhouse. Soapmaking with Nanny Naturals - With a few basic ingredients and a little chemistry know-how, fabulous bars of wonderfully scented soap are born. 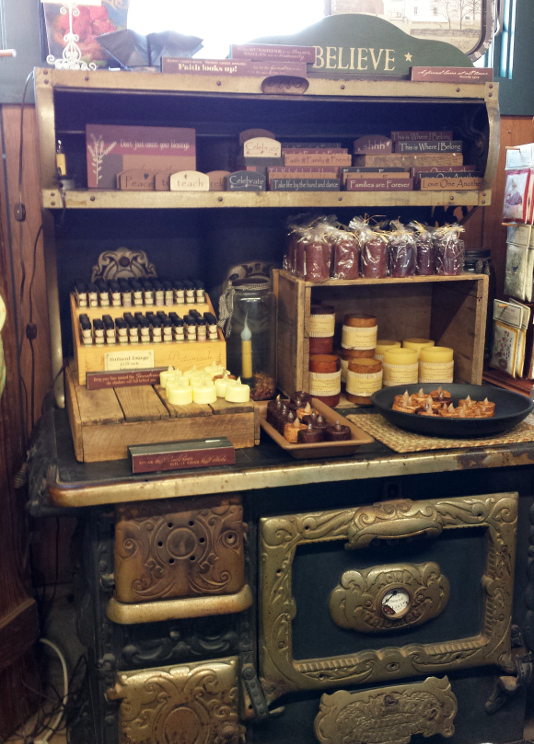 Learn about the process, check out their very extensive collection of scents, and meet a few of their partners in soap! Rumor has it that tiny, adorable, baby goats will be making an appearance. Hand-thrown Pottery with Deborah Wilson - One of our very first Featured Local Artisans, we've enjoyed having the beautiful and functional pottery of Deborah Wilson at the market for several years. Don't miss this unique opportunity to see a talented potter in action! 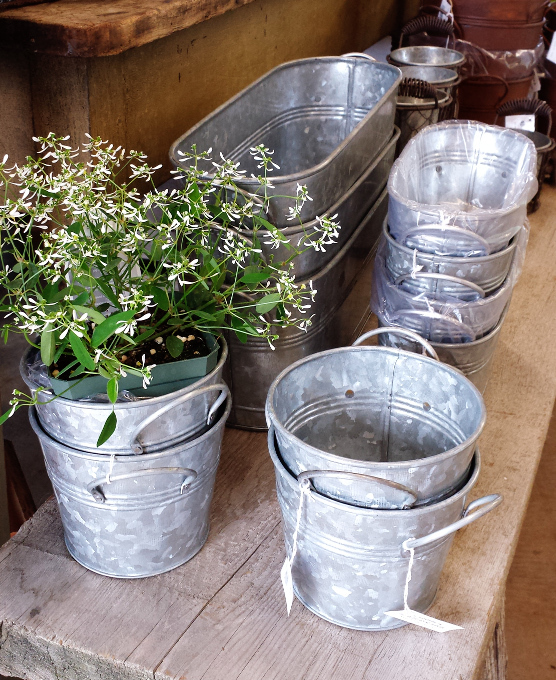 Visit her display area near the Potting Shed at 11:30 and 2:30 for demonstrations. Cordwood Masonry and Green Roofs with Peter Turkow - Cordwood Masonry is a sustainable building method that uses materials readily available in WNY. In his own words: "One of my personal favorites because of my own life experience, cordwood construction is fast becoming a popular form of sustainable construction in the US and abroad. A cost-efficient (can be built mortgage-free) and sustainable building method utilizing log ends (usually 12-24” in length) laid transversely in a mortar matrix consisting of sand, Portland cement, hydrated lime, and soaked sawdust. Cordwood construction takes advantage of a dual layer wall system similar to a double paned window. The cavity between the inside and outside mortar walls is insulated with a mix of sawdust and a small amount of lime (rodent repellent) that keeps the home cool in the summer and holds in the heat in the winter." See the Rochester Green Living site to learn more.